photo by ryan burns Mad River biologists’ offices overlook the Gazebo in Old Town Eureka. photo by ryan burns Mad River biologists’ offices in Old Town Eureka. photo by Bob Doran Biologist Sean McAllister at Mad River Beach in 2004.
photo by Bob Doran Ron LeValley, founder of Mad River Biologists, conducts snowy plover research on Clam Beach in 2004. It was shortly after 4 a.m., still 2 ½ hours before dawn on Monday, Oct. 24, 2011, and Roland Raymond was behind the wheel of his new Chevy Tahoe. In front of him, dual cones of light spread across the black asphalt rushing beneath and brushed the thick forests whizzing past. 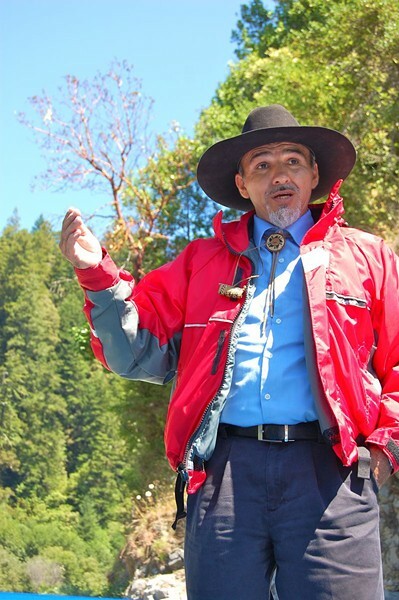 Raymond, who had recently been fired from the Yurok Tribe after 17 years as its forestry program director, was zooming northbound through the hills of Southern Humboldt, hugging the curvy contours of Hwy. 101 as it crisscrossed the Eel River. He was 11 miles north of Garberville when the California Highway Patrol pulled him over. 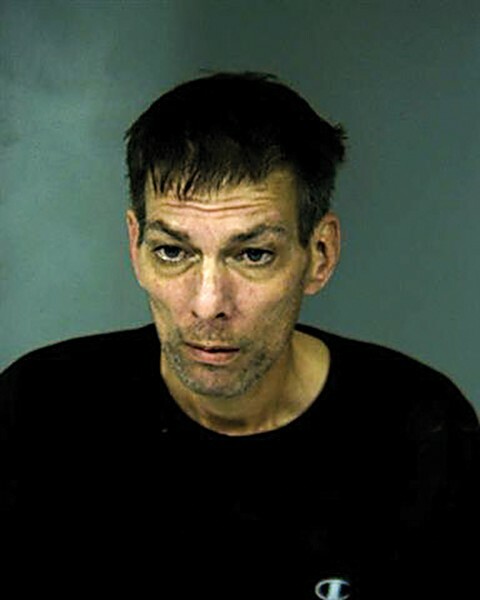 In the mug shot taken later that morning, Raymond, who was a few weeks shy of his 49th birthday, looks like a zombie. Bony cheekbones protrude from his wan face, his mouth hangs slightly open, and his eyes stare blankly into the middle distance. According to the CHP he'd been driving -- speeding, actually -- while under the influence of a controlled substance. In his Tahoe the arresting officer allegedly found an undisclosed amount of a controlled substance, drug paraphernalia and more than an ounce of marijuana. These are serious allegations, for which Raymond has yet to be charged. (The Humboldt County District Attorney's Office is still reviewing the case.) But he had bigger problems on his plate. Much bigger. Raymond had been fired three weeks earlier for failing to report for work after three months of family medical leave. Shortly after, Yurok Tribe Executive Director Troy Fletcher contacted the Del Norte County District Attorney's Office to report some serious suspicions about Raymond. A tribal employee named Forrest Gregg had discovered that seven Apple iPads purchased by Raymond were missing, and a closer look revealed much larger irregularities. On the night he was pulled over and arrested, Raymond was under investigation by the Del Norte County District Attorney's Office for allegedly masterminding a massive fraud scheme, using the Yurok Tribe and a few local confederates to embezzle nearly $1 million, the vast majority of it coming from the federal Bureau of Indian Affairs. In a Valentine's Day letter to fellow Yurok tribal members, Tribe Chairman Thomas O'Rourke expressed "great disappointment and outrage" over the alleged embezzlement and laid out a number of new safeguards that the tribe will implement to prevent such a crime from happening again. But details about the alleged theft were scant. No other suspects were named. Nine days later, a $1 million arrest warrant was issued for Raymond, but when officers showed up at his house in Myrtletown, just outside Eureka city limits, he had disappeared. Raymond remained a fugitive for six weeks. Last Thursday, he turned himself in. He has pleaded "not guilty." But Raymond is not the only person facing charges. When news of the embezzlement case broke publicly in late February, it hit with a one-two punch. The crime itself was plenty shocking, but even more confounding were the identities of Raymond's alleged confederates. Ron LeValley and Sean McAllister, two respected local biologists with shining credentials and long histories of working with private and public clients, were identified as fellow suspects. 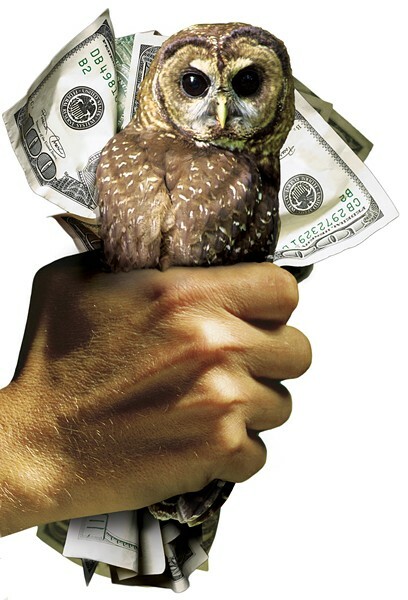 They stand accused of using fake invoices to collect money for spotted owl research that was never conducted. Warrants for their arrest were issued in the amount of $1 million apiece (the same as Raymond's) and they've been charged with felony embezzlement of public funds, grand theft and conspiracy (same as Raymond). To people who know and have worked with LeValley, 65, and McAllister, 45, over the past 20-plus years the allegations seemed incongruous to the point of lunacy. "Even though I don't know what's going on, I know Ron," said Crescent City biologist Craig Strong, who was just a kid when he first met LeValley. "And there is no way in hell that he would intentionally do anything criminal. He's an honest man, and he's a really good biologist, too." It's not just personal friends who feel this way. A March 2 comment on the Humboldt Herald blog articulated a common reaction: "The accusations levied against LeValley and McAllister are so wildly inconsistent with their reputations that I was left with some serious cognitive dissonance." While Raymond evaded law enforcement on the morning of Feb. 23, McAllister was arrested without incident at the Old Town Eureka offices of Mad River Biologists, a professional consulting firm where he works as an associate biologist. LeValley, who founded Mad River Biologists 30 years ago, turned himself in that evening. Both men have since been released on dramatically reduced bail ($150,000 for LeValley, $50,000 for McAllister). Late last month the embezzlement investigation was taken over by the FBI and the U.S. Department of the Interior. The case likely will be prosecuted by the U.S. Attorney's Office. The next court date is scheduled for May 1. The community, meanwhile, doesn't know quite what to make of the charges. 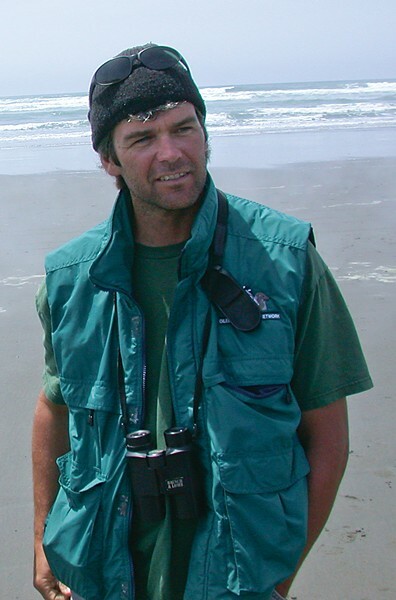 Much of LeValley and McAllister's consulting work has been on controversial projects, including California's Marine Life Protection Act Initiative, for which LeValley served as co-chair of the North Coast Study Region's science advisory team, and conservation-oriented surveys on threatened and endangered species such as the northern spotted owl, the western snowy plover and the marbled murrelet. Critics of those efforts have seized on the biologists' arrests in an attempt to discredit their work. Others simply wonder how LeValley and McAllister got mixed up in this mess. Evidence against all three suspects is laid out in an affidavit written by A.C. Field, chief investigator for the Del Norte County District Attorney's Office. The main character in this storyline is definitely Roland Raymond. Circumstantial evidence against him dates back several years. For example, in the last three years of his employment Raymond allegedly used a tribal credit card to buy gasoline -- an average of $1,000 worth per month -- for a Ford F-250 truck that belongs to the tribe. Investigators later learned that the truck has been inoperable and parked in a secured lot at Yurok tribal headquarters since September 2010. Also suspicious: Raymond and his wife allegedly deposited more than $30,000 in cash into their joint U.S. Bank account in 2009 alone. That's the same year, according to the affidavit, that fake invoices with "Mad River Biology" headers started showing up at Yurok tribal offices. In just over a year -- from October 2009 through November 2010 -- 50 suspect invoices totaling nearly $600,000 were submitted to the tribe, along with just eight invoices (totaling $24,962) that have been deemed legitimate. Before it ended, this scam is alleged to have produced 75 invoices totaling $870,065, which the tribe paid in full using federal funding. This was the central con, the real moneymaker in this alleged grift, and according to Yurok tribal leaders it was successful for so long only because Raymond occupied a position of uncommon trust and autonomy in the tribal structure. The affidavit says all but three of the suspected fake invoices were delivered to the tribe's fiscal department by Raymond himself, along with a written request to cut the check immediately (or as soon as possible) so he could hand-deliver the payments. Field, the chief investigator for Del Norte County's D.A. office, initially believed Raymond was acting alone. "When I first started working on this thing I thought, ‘There's no way these biologists are involved in this.' Why would they risk their careers, their company, all this stuff?" Later, after collecting more evidence, he changed his mind. Before we get to the reasons why, it's worth looking at the full trajectory of Raymond's alleged crimes. In the fall of 2010, around the time the alleged Mad River Biologists swindle was winding down, Raymond embarked on a mad spending spree using other people's money, court documents claim. He had authority to issue purchase orders on the tribe's behalf, and he also had two tribal credit cards issued in his name -- one for travel expenses and another for purchases. In August 2010, the affidavit claims, he started exploiting these resources for his own benefit, spending $218 on a deluxe shower door from Pierson's; $267 at Kragen Auto Parts; $335 on new brakes for his wife's sedan; $315 on a fuel pump and filter; and $1,886 on heavy-duty tractor tires that someone later tried (and failed) to exchange for cash. Field obtained search warrants for Raymond's bank accounts, which revealed that in a one-month timespan, from mid-September to mid-October 2010, 11 checks totaling more than $35,000 were cashed or deposited into a joint checking account belonging to Raymond and his wife. These handwritten checks, ostensibly for travel reimbursement, were issued by the California Indian Forest and Fire Management Council, a Sacramento-based nonprofit where Raymond once volunteered. Field believes Raymond made the checks out to himself and forged the signature of a council official. There's more: Last September, Raymond allegedly submitted an after-the-fact purchase request, asking to be reimbursed for "mac data entry systems" for use "by crew in the field." These "data entry systems" turned out to be the seven Apple iPads. With accessories, the bill for these devices came to $4,671.73. The iPads remain missing. Biologists LeValley and McAllister aren't the only people suspected of helping Raymond. Last year, Wonder Brothers Auto Body in Eureka submitted two invoices to the Yurok tribe -- one for $1,457 and another for $3,750 -- for work that was never done, at least not on the vehicles claimed, the affidavit states. Field suspects Wonder Brothers may have been complicit in more fraud, and a search warrant was served at the business in February. Reached by the Journal, a co-owner of the business declined to comment. Even when Raymond was on his three-month family medical leave -- during which he was expected to refrain from official tribe business -- he allegedly used a tribal credit card to buy more than $2,100 worth of gasoline. Raymond and his wife live in a modest, one-story home on Hillcrest Ave., a quiet street in Myrtletown that runs all of one block, sandwiched between Trinity and Glenwood streets. Court documents do a good job of describing the house's color scheme: "crème and taupe ... with plum-colored trim." Potted plants and flat-topped hedges line the cement walkway leading to a lattice-topped side gate. On a recent sunny weekday afternoon, the property was quiet and tidy. A next-door neighbor described Raymond as "a nice guy" who always mowed both his own and his neighbor's front yards, just to be nice. Reached by phone a week before Raymond's arrest, his wife claimed she hadn't heard from him and didn't know where he was. Then she hung up. When Del Norte County District Attorney Jon Alexander and his investigators searched the house on Feb. 23, the D.A. recently told the Journal, they found evidence that might explain his appearance in the mug shot taken that early October morning. "There were numerous syringes found throughout the house as well as a suspected amount of heroin, which has been sent to the U.S. Dept. of Justice for analysis." No such track record can be traced for the two biologists alleged to have helped Raymond. 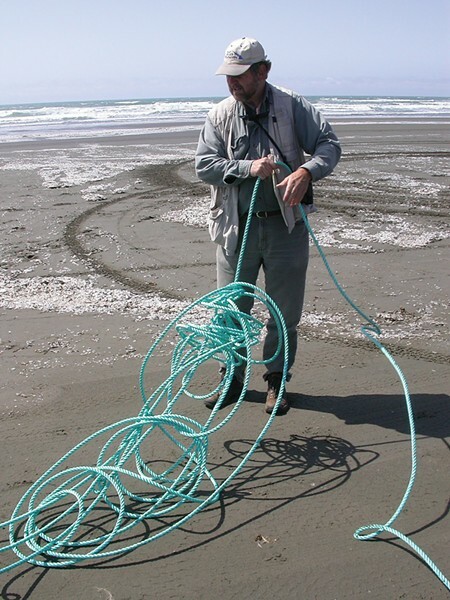 Ron LeValley's fascination with marine birds and mammals dates back more than 40 years, and he has built a reputation on his ability to identify coastal seabirds and track their distribution. According to a profile in the Conservation Yellow Pages, an online resource guide, "Virtually all of the marbled murrelet surveyors in California and southern Oregon have gone through [LeValley's] training program." A 1969 graduate of Sacramento State College, LeValley earned his master's in biology from Humboldt State University in 1980 and went on to found an ecotourism company called Biological Journeys, which he ran for 15 years. Now semi-retired and living in Mendocino County, LeValley spends much of his time photographing wildlife. He claims to have shot more than 90,000 wildlife images, and he frequently displays them at a gallery in Fort Bragg rented by the Mendocino Coast Photographer Guild, which he helped found. On his photography website you can sign up to receive a free LeValley photo in your email inbox daily. This speaks to another aspect of LeValley's reputation: generosity. His own website claims, "One of Ron's outstanding attributes is sharing his knowledge and enthusiasm with others." Craig Strong, LeValley's friend and fellow member on the MLPA science advisory team, seconded that assessment. "One of his philosophies was to share his information openly, which is very unusual in science," Strong said. When Strong was just a kid growing up in Deep Springs Valley, east of the Sierra Nevada, LeValley, then a college student in his early 20s, taught Strong's mother how to band birds' legs, an identification technique that enables studies of bird migration, social structures, lifespan and more. "He was like a mentor to me," Strong said. Strong believes that Roland Raymond likely took advantage of LeValley's generosity and trusting nature, convincing him to launder money by pretending it would be reallocated back to the Yurok Tribe. "I think he was just being extremely naïve in agreeing to do this," Strong said. "He thought he was doing the Yurok Tribe a favor when actually he was feeding the funds back into Roland Raymond's personal [accounts]." Though 20 years younger than LeValley, McAllister enjoyed similar respect, both personally and professionally. 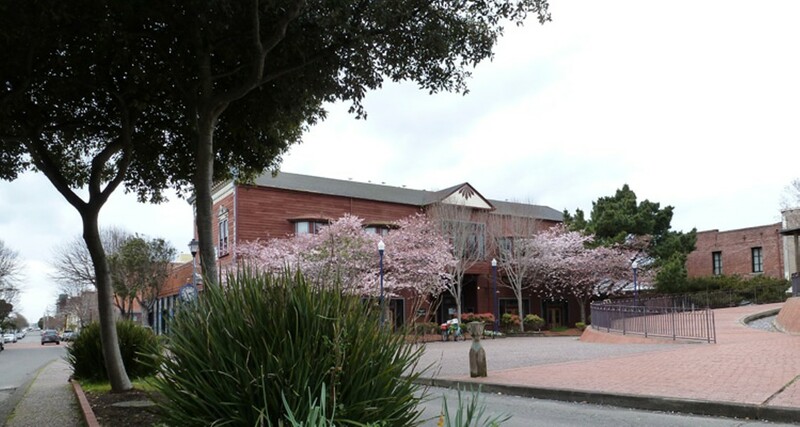 After spending his childhood in Mendocino County, McAllister came to Humboldt for college. He's been a wildlife consultant for the past 20 years and joined Mad River Biologists in 1995. He specializes in studying threatened and endangered bird species and frequently supervises field crews and manages large projects. Dr. Mark Colwell, a wildlife professor at HSU, has had a 12-year professional relationship with LeValley and McAllister. 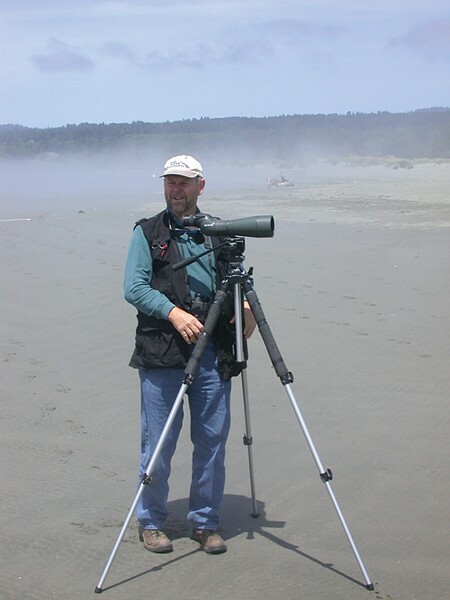 In 2000, LeValley approached Colwell and asked to collaborate on a long-term project to monitor the local snowy plover population. "I've enjoyed working with them over the years," said Colwell, who described the biologists as "warm, sort of calm -- just guys that I respect, certainly. A lot." The Department of Fish and Game is accepting comments on the initiative's draft environmental impact report until April 16. Gurney seized the opportunity to ask, "How are we to trust any of the science that justifies these closures, when the co-chair of the science team has recently been arrested on felony fraud charges?" Colwell has heard similar arguments about the snowy plover project. 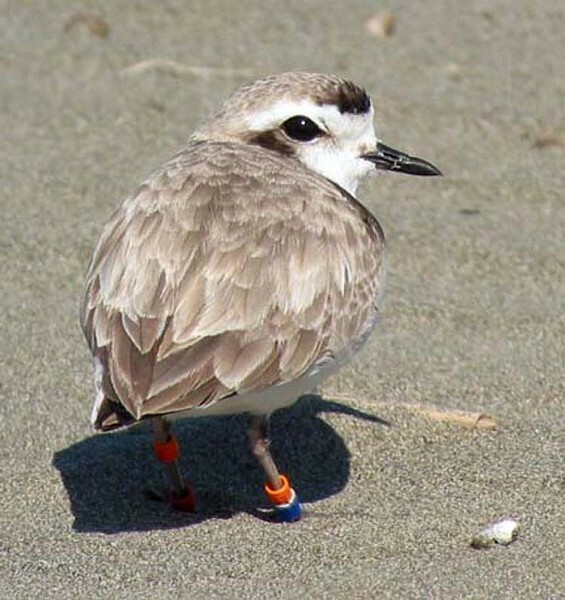 Efforts to protect the plover's habitat have sparked criticism from fishermen, gravel miners, advocates for human and equine beach access and others who say Pacific Coast snowy plovers are genetically identical to thriving inland populations ("The Plight of the Plover," June 17, 2004). But Colwell argued that the charges against LeValley and McAllister have no relevance to their scientific work. "To call into question the plover project is sort of silly," he said. "It suggests a real ignorance of how science is done." For one thing, he explained, there's a division of labor on the project, with LeValley and McAllister setting up predator exclosures around plover nests and doing leg-banding on chicks and adults. Colwell and his students conduct the analytical work independently, and Colwell personally manages the data sets. Besides, he said, LeValley and McAllister's work has been beyond reproach. "They've been critical to the success of this project, and until something changes, I don't see altering that [relationship]." As for LeValley's involvement with the Marine Life Protection Act, Jordan Traverso, deputy director of communications for the California Department of Fish and Game, said the agency is standing by the work of the North Coast region's science advisory team. The biologists' reputations can carry only so much weight in a court of law, and after examining bank records that he obtained via search warrants, district attorney's investigator A.C. Field concluded that LeValley and McAllister were active participants in Roland Raymond's embezzlement scheme. "I take investigative steps to try to prove people innocent," Field said. "If I can't prove ‘em innocent then the evidence builds up to guilt." 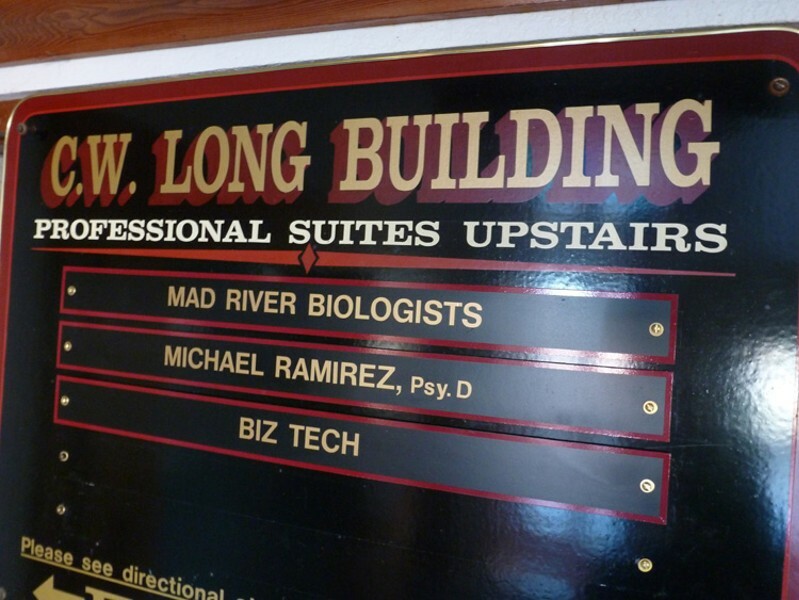 The evidence here revolves around tax records and two North Valley Bank accounts -- one in the name of Mad River Biologists and the other in the name of Ron LeValley. In analyzing bank records, Field recognized three major patterns of dispersing money from the Yurok Tribe. In the first technique he describes, a Yurok tribal check would be deposited into the Mad River Biologists account "less cash." According to North Valley Bank records, Sean McAllister is an authorized signer for this type of transaction, which allegedly happened 31 times. The total amount of cash withheld from Yurok checks came to $244,625, court documents state. The second technique allegedly worked as follows: The entire amount of a Yurok Tribal check would be deposited into the Mad River Biologists account, and within a few days (or sometimes on the same day) a check would be written from that account to either "Cash" (20 times), "North Valley Bank" (three times), "MRB Research" (once) or "Sean McAllister" (twice). This technique yielded $234,581, or more than $9,000 per transaction, according to Field's affidavit. The third technique worked like the second, Field says, except rather than writing checks from the Mad River Biologists account, money would be electronically transferred into Ron LeValley's personal account. "On the same date of the electronic transfer, a personal check from LeValley's account would be written out to ‘Roland Raymond,'" Field's affidavit says. This allegedly occurred 18 times for a total of $123,352. Much or all of the cash generated by these means may well have been funneled back to Raymond. But once the money got converted to hard currency, there's no way to track it. Field said he wanted to check the security camera footage from the banks, but by the time he requested it the tapes had been erased. At the end of each of the three years that this alleged scam was being run -- 2008 through 2010 -- the Yurok Tribe sent an IRS 1099 form to Mad River Biologists. "The amounts on these forms represent the total amounts of suspected true and false invoices together," Field writes in his affidavit. And no one balked. The obvious question is: Why would a company pay taxes on hundreds of thousands of dollars' worth of work that it hadn't actually done -- and hadn't been paid for? 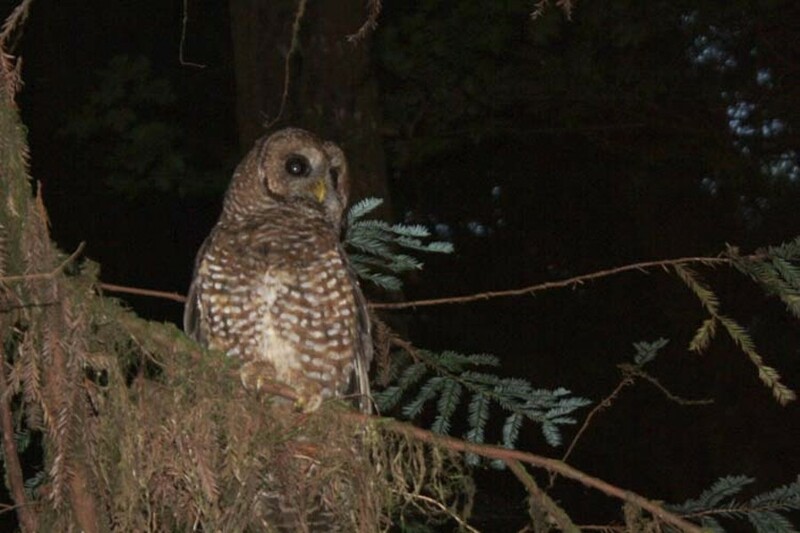 Field had already figured out that the Mad River Biologists invoices submitted for spotted owl research were fakes, likely created on a personal computer. The formats, headers and invoice numbers didn't match legitimate invoices. Plus an associate at Mad River Biologists acknowledged that they hadn't conducted the surveys in question. But the bank and tax records were a revelation. "This is one of those things you define as the ‘a ha moment,'" he said. In his eyes, this paper trail proves the relationship and criminal intentions of all three men -- Raymond, LeValley and McAllister. When the latter two men appeared in court for their arraignment, LeValley's attorney, Bill Bragg, said his client believed he was helping the Yurok Tribe by reallocating funds, The Del Norte Triplicate reported. That's exactly what LeValley's friend and fellow biologist Craig Strong believes was the case. He said there's no way LeValley would have taken tribal money for his own gain. "He's secure, semi-retired, just doing what he likes to do -- biology, birdwatching and photography. He lives in a beautiful house, he's secure financially, and he's not a greedy person." Contacted by the Journal, Sean McAllister expressed interest in being interviewed for this story, but his attorney, Greg Rael, advised him against it. LeValley's attorney also declined an interview request on his client's behalf. Many of the two men's colleagues and clients did not respond to requests for comments. While he's convinced of his longtime friend's fundamental innocence, Strong said he worries about how things will play out in court. "The sad thing is that there may be some substance to [the charges] because he was trusting and didn't realize what he was getting into," Strong said. From the perspective of law enforcement, good intentions may well prove irrelevant. "Roland Raymond -- we believe he's the primary suspect in the case," Field said. "But if you assist in the conspiracy you're just as guilty."